Champion First Season Sire, WRITTEN TYCOON, has been sold and will return to stud in Victoria this spring. The sale arose from a disagreement regarding the placement of Written Tycoon, who was relocated last year to Eliza Park’s new Queensland operation. Eliza Park’s CEO, Cameron Croucher, was obviously reluctant to see the stallion go but wishes the new syndicate the very best of luck. “Written Tycoon has been an extremely popular stallion and deservedly took out the Australian First Season Sires’ championship in 2011/12,” Croucher points out. 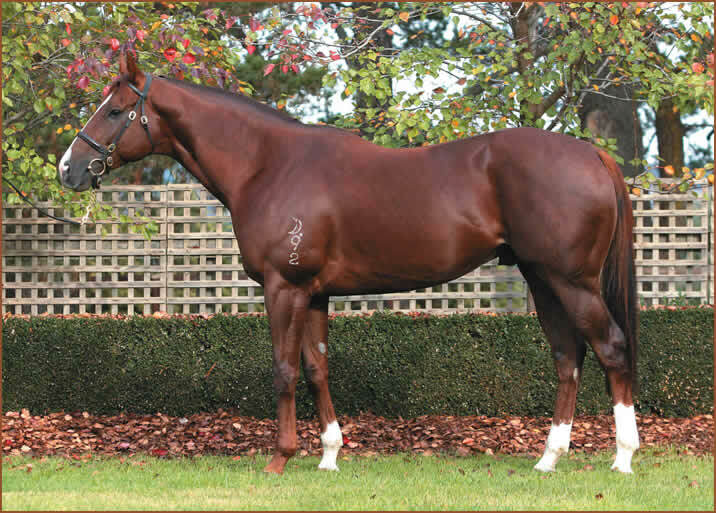 “Therefore, we were determined to give Queensland breeders access to the stallion last year when we established that arm of the operation … particularly given that he was foaled in that state and two of his three stakes winners have been trained up there. “It was important to show Queensland breeders our commitment to the state so, with the blessing of shareholders, we sent up one of our leading lights in Written Tycoon. “And, although a sizeable number of Victorian breeders took up Eliza Park’s lucrative package deal to transport their mares there and back, the controlling interest in the stallion determined that Written Tycoon wasn’t getting the support in Queensland and thereby initiated the auction. “Despite Written Tycoon’s sale, it has strengthened our resolve to support the Queensland operation and, in particular, we’re looking forward to the arrival of Love Conquers All’s first foals this spring. “On the upside, we believe Written Tycoon has been sold at peak value – in 2009 Eliza Park purchased him for $625,000 at the Inglis Great Southern Sale. “Woodside Park is the new owner, purchasing Written Tycoon for $3 million and providing a huge upside for shareholders who bought in at $15,000 and have utilised the stallion for the past four seasons. “It has always been Eliza Park’s objective to look after its shareholders and, while Written Tycoon will be missed by all of us at Eliza, it has been a massive return for investors.